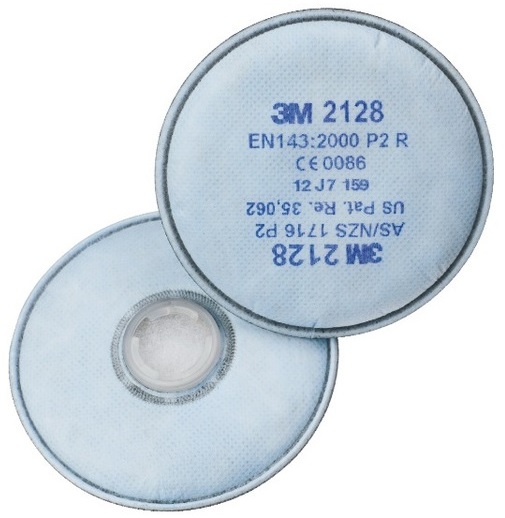 3М 2128 Р2 R reusable particulate filter with additional protection from nuisance level organic vapors and acid gases. 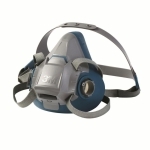 Fine dust particles, liquid aerosol and metal fumes protection up to 12 times the TLV value with half masks and up to 16 times the TLV value with full face respirators. Protection from Ozone up to 10 times the TLV value. Direct bayonet connection to 3M half masks or full faces. Pack of 2 filters.